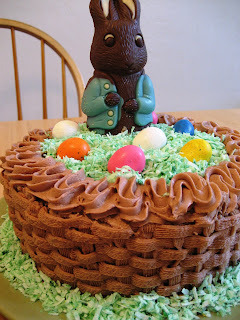 We had some people over for a big Easter brunch this year. 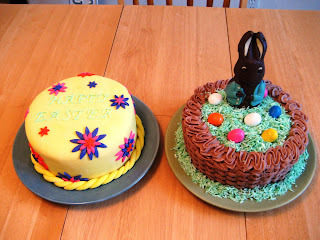 So Jessica decided to make not one, but TWO awesome cakes. 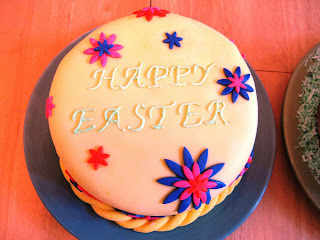 I helped with the piping on the "Happy Easter" cake. I'm good for something (other than cleaning) after all! 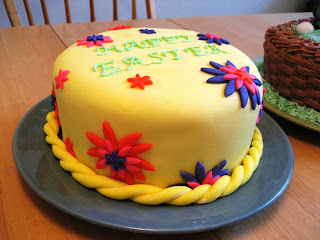 This was Jessica's first attempt piping a basketweave. I think it turned out pretty good! 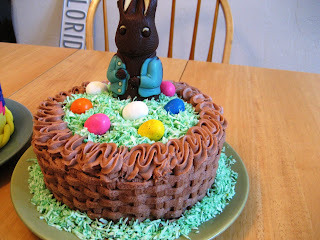 The "grass" is green dyed coconut and the easter eggs are chocolate-covered malt balls.